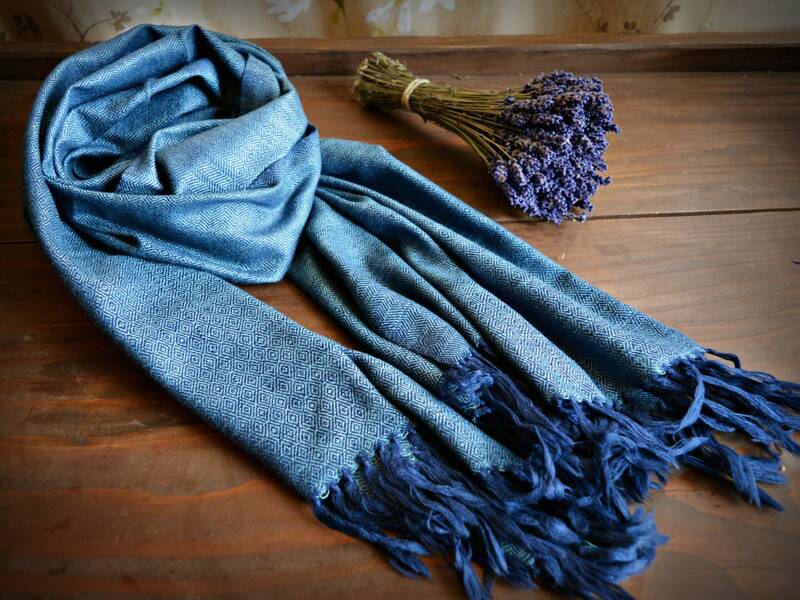 Amazing, smooth and shiny wool and silk shawl in a beautiful blue color. The final effect is so unique and luxurious. 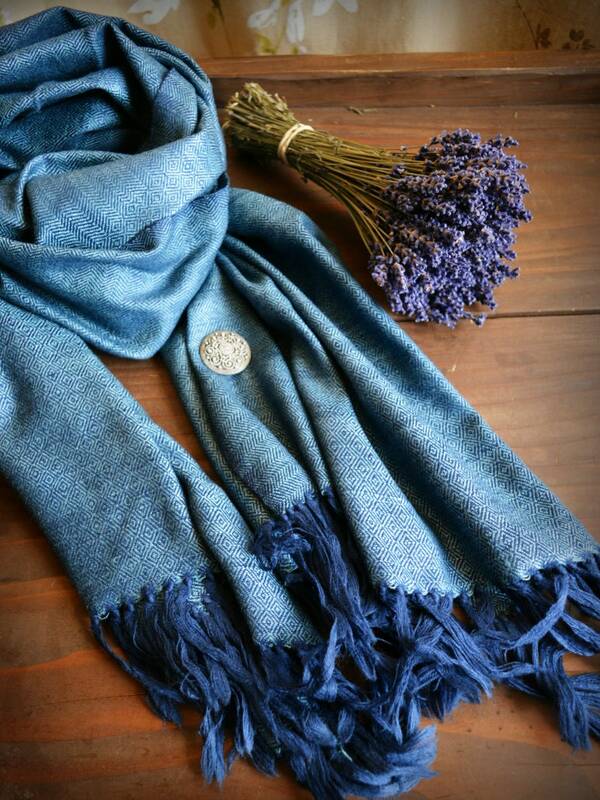 The shawl is a heaven to touch. Very nice and smooth. 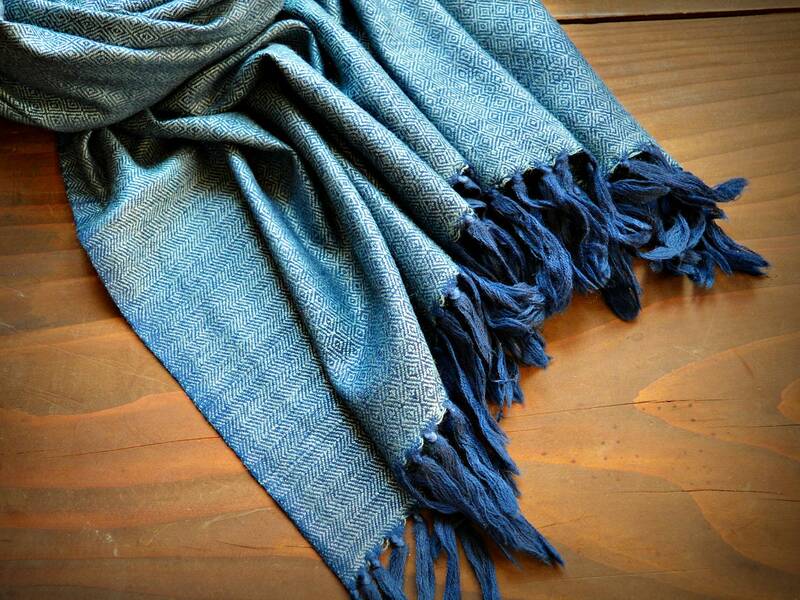 The addition of silk fibers adds a beautiful shine to it. Diamond weave with the edges in herringbone twill makes the design very interesting. 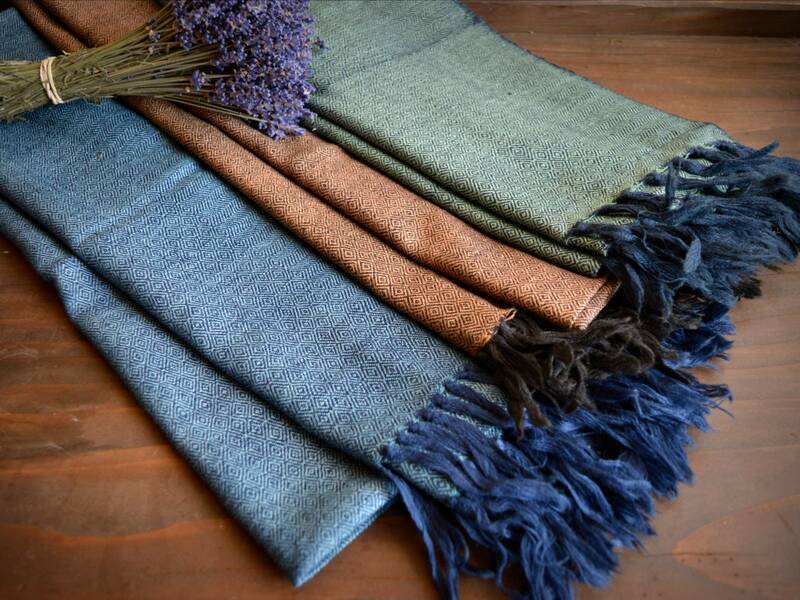 Only 100% natural fibers: silk and wool. 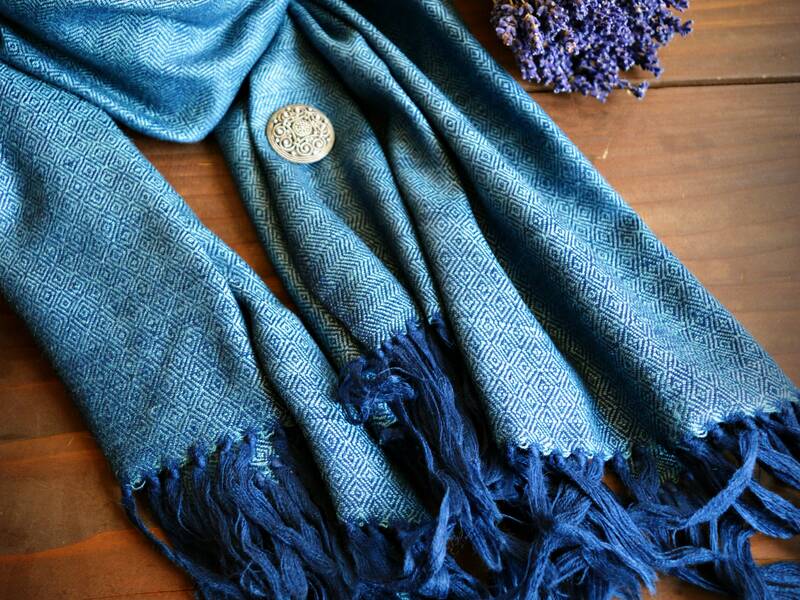 The shawl is made of yarns in two shades of blue: lighter blue silk for the weft and darker navy blue wool for the warp. The colors, in reality, may differ a bit from what you see on your screen. Please handwash in cold water or dry clean.